This Southern Vietnam motorbike tours is operated by one of our partners in Vietnam, Vietnam Motorcycle Tours. Vietnam Motorcycle Tours is 100% Australian owned and operated. 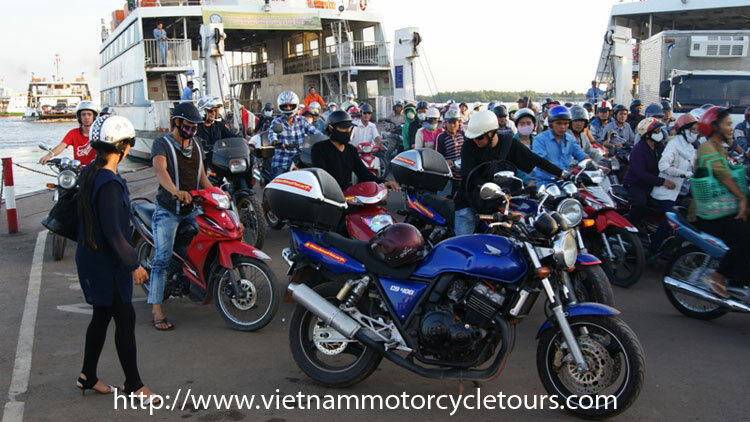 Vietnam Motorcycle Tours is the ONLY operator in Vietnam running our own high capacity bikes. If you want to experience a bike tour that you will never forget then this is the place for you. Vietnam is an exciting, interesting, dynamic and colourful place that has no equal. Steeped in history, it is not only beautiful (with lush tropical forests and beautiful beaches to breathtaking mountain areas abundant in wildlife in the Central and North areas) but rich in ways that must be experienced to be appreciated. For the first time, it is now possible to see this vibrant country on a fully escorted Motorcycle Group Tours with Road bikes and not Scooters. Our business currently offers several tour packages of up to 6 bikes with our own fleet of 250cc up to 750cc bikes for our 7, 10 or 14 days ‘Mountains to the Coast’ Tours or the Grand Tour from Saigon to Hanoi over 22 days. Our staff is more than happy to discuss ‘Custom-Made’ tours for groups of 4 or more. We are constantly exploring new roads and discovering new routes. In fact, we don’t like to ride the main highways so our rides will always take you to places off the beaten track. In general, we stay in 3 – 4 Star Hotels and Resorts, use big bikes, foreign guide and support bus. Arrive in Ho Chi Minh City, then airport to hotel transfer. Settle into hotel, afternoon short tour of Saigon. Finally, arrival dinner to welcome you to Vietnam. Day 1: Saigon City Riding. Traffic introduction seminar, then test ride your bikes and visit the War Remnants Museum. Evening free time to check out some Saigon night life. Day 2: Saigon – Cu Chi – Saigon. 7am start to ride 75km to Cu Chi to visit the famous Cu Chi Tunnels. Then have lunch in Cu Chi, some sightseeing riding around Cu Chi countryside and afternoon ride back 75km to Saigon. Day 3: Saigon – My Tho – Can Tho. Ride 2 hours to My Tho for lunch and river cruise. Then afternoon ride to Can Tho. Overnight in Can Tho. Day 4: Can Tho – Ben Tre. Explore the Floating Markets and Ben Tre. Overnight in Ben Tre. Day 5: Ben Tre – An Giang. Ride to An Giang to see some of the most famous temples in Vietnam including the Ba Chua Xu temple. Overnight in An Giang. Explore An Giang province and the Sam Mountain region. Overnight in An Giang. Day 7: An Giang – Saigon. Ride back to Saigon and farewell dinner. This trip is provided by Vietnam Motorcycle Tours, based in Saigon. Contact us in case you want more information about availability and cost details.